There's just something about a tree that officially rings in the Holidays. With Thanksgiving come and gone, the world now turns it eyes towards Christmas and the Holiday season, which means it's time to get those trees up. Whether it comes out of a box or from the ground, few things are more enchanting than a tree all done up for the holidays. The twinkling of lights, the ornaments -- classic, personalized or new school -- and the pomp and circumstance; it all comes together so that no matter where you are, you can be home for the holidays. 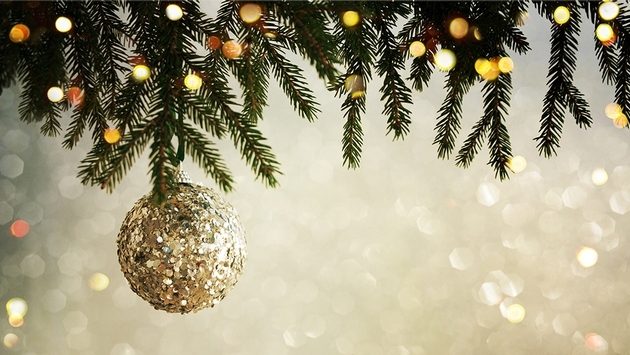 If you're out and about this Holiday season, here are some of the best Christmas trees worth tracking down and seeing for yourself. 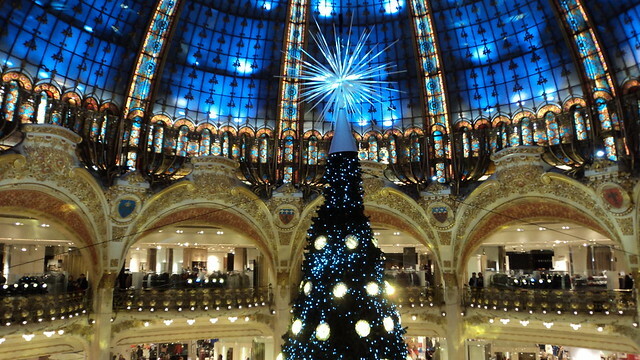 Welcome to Paris, perhaps one of the most enchanting cities in the world, especially during the Holiday season. And of course, what's the holidays without a trip to the mall? The Galeries Lafayette Haussmann is a Parisian department store with a beautiful Art Nouveau dome and stunning architecture. During the holidays, that dome hosts one of the most notable Christmas Trees in the world, with the 2016 version made completely out of paper. It's a stunning, brilliant white, complimented by a paper Ferris Wheel and a beautiful gold star on top. Especially considering the backdrop of the dome, Lorenzo Papace's masterpiece is a sight to see. Located in the Rotunda of San Francisco City Hall, the world tree of hope is as meaningful as it is beautiful. According to the tree's website (yes, the tree has a website) it "is the largest origami decorated holiday tree in the world, standing over 23 feet tall and decorated with over 15,000 origami cranes and stars each hand folded and inscribed with wishes for the future of the world." President Barack Obama and Hillary Clinton are among notable wish givers. Midwest travelers looking for some holiday spirit and a beautiful sight should search no further than Detroit, Michigan and Campus Martius. In the heart of downtown Detroit, Campus Martius is one of the many signs of growth and life coming back to the once downtrodden city. The lighting of the tree at Campus Martius has been a staple in Detroit for years now -- a tradition that both family and friends in the area have accepted as one of their own. It's a festival that truly brings Detroit together and ushers in the holiday season in a way that's truly pure Michigan. The 2016 tree, overlooking an ice rink, is 60-feet high and adorned with 19,000 LED lights. While Detroit's tree lighting tradition is just reaching its stride, Chicago and its residents are old pros. This year, the windy city lit up a 69-foot Norway Spruce that was selected among 120 other submissions. Talk about a big deal, right? According to the website, Chicago's tree featured 48,375 lights of all colors and it's topped with, of course, a beautiful star. Chicago has been lighting the tree in Millennium Park for 103 years now, making it one of the staples of holiday festivities in the Midwest. 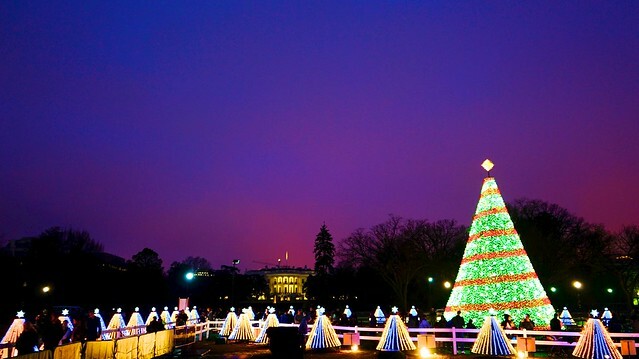 For Americans, perhaps no tree has as much tradition and history behind it than the national Christmas tree, which can be found in Washington, D.C. The history of the tree goes all the way back to 1923, when President Calvin Coolidge lit a 48-foot fir tree on the Ellipse south of the White House. In 2015, the tree radiated a bright gold and white while overlooking the White House, truly a spectacle to see for those with a eye for beauty and a mind for American history. The 2016 National Christmas Tree will be lit on Dec. 5, 2016. If you're lucky enough to find yourself in Brazil for the 2016 Holiday season, make sure to check out one of the most unique Christmas trees in the world -- one that can be found floating on the water. With Millions of lights and fireworks accompanying its lighting, this is one tree that needs to be seen to be believed. Keep in mind that it's an entirely metallic structure, but that doesn't take away from the beauty of either the moment or the tree itself.